Reduced organ & system function. Often when a person visits a doctor with hypothyroid symptoms, they will simply be given replacement hormones without any further inquiry into the cause of their condition. Even worse, if they have hypothyroid symptoms with normal lab tests, they may be told that “you are fine” If the patient insists that they are not “fine,” antidepressant medication may be recommended, but no further clue about the cause of the symptoms. 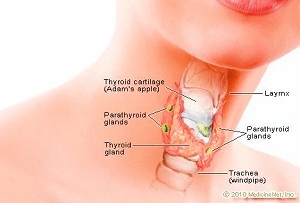 Thyroid disorders are complex and may be as simple as an iodine deficiency or as complex as Hashimoto’s thyroidits, an auto-immune disorder where the body appears to attack its own tissues. Research shows that Hashimoto’s thyroidits may be preceded by an infection such as Glandular Fever, Ross River Fever or Epstein Barr virus. These conditions often result in chronic fatigue and weaken the immune system. Natural Therapies are available to provide the precursors to boost Thyroid metabolism and assist in alleviating distressing under active Thyroid symptoms.